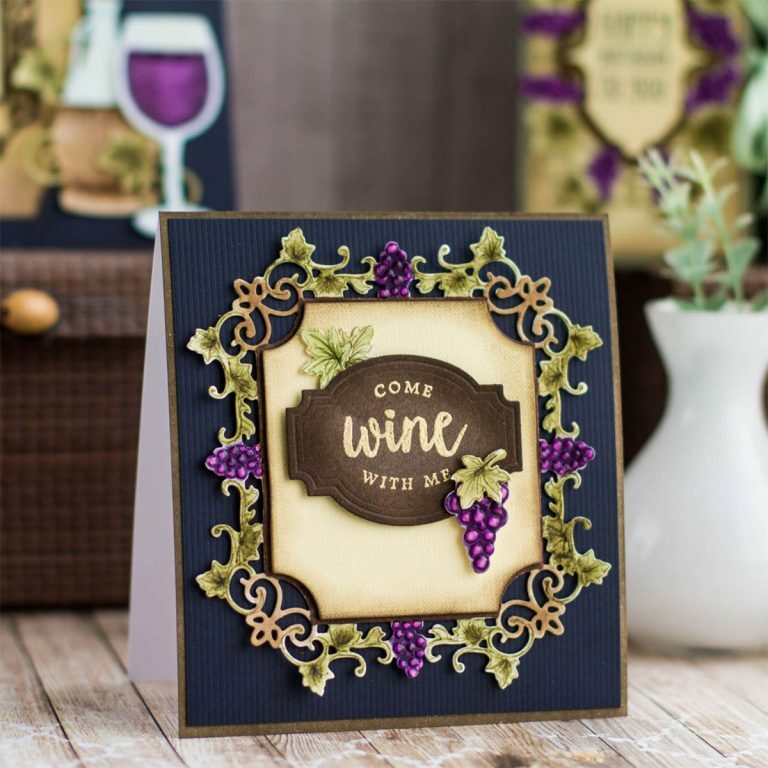 Today we welcome Elena Salo as a guest on our blog sharing a beautiful Wine Party/Tasting invitation or card featuring stamps and dies from our Wine Country collection. 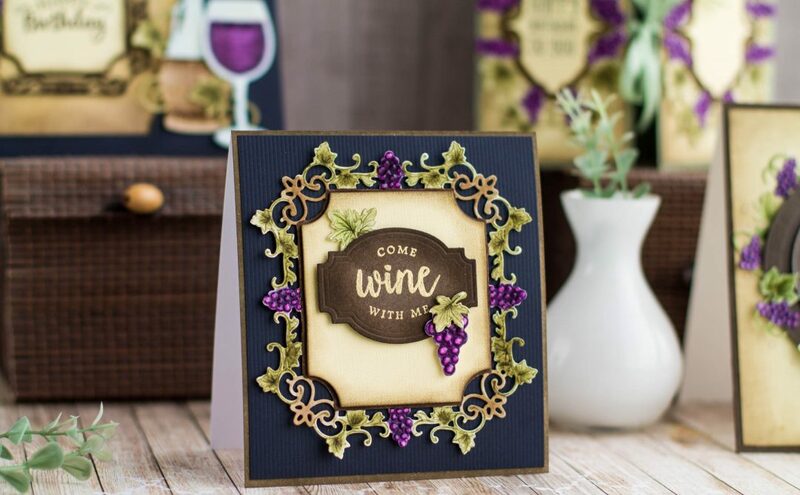 This project appeared in the Die-Cutting Essentials Magazine, Issue #33. 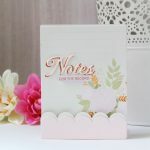 Create 4 1⁄2 x 5” top folding card base out of white cardstock. Cover edges of the front panel with brown ink. Cut a piece of dark blue cardstock to 4 1⁄4 x 4 3⁄4”, adhere onto card base. 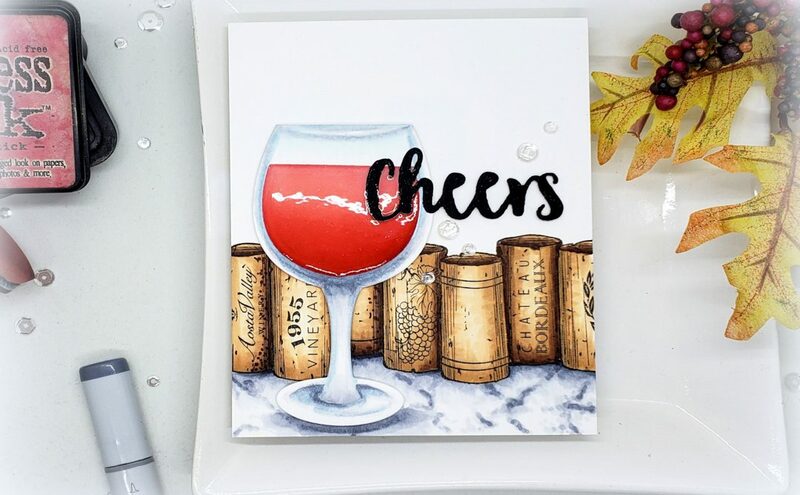 Die-cut decorative frame out of watercolor cardstock and color with distress markers. Foam mount onto the card. 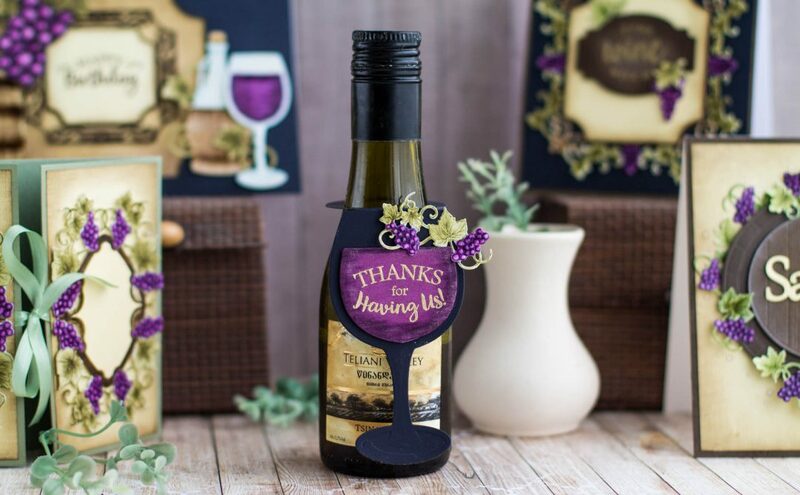 Die-cut a label out of yellow cardstock, add shading around the edges using brown ink. Foam mount onto the frame. 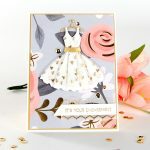 Die-cut a tag out of brown cardstock. 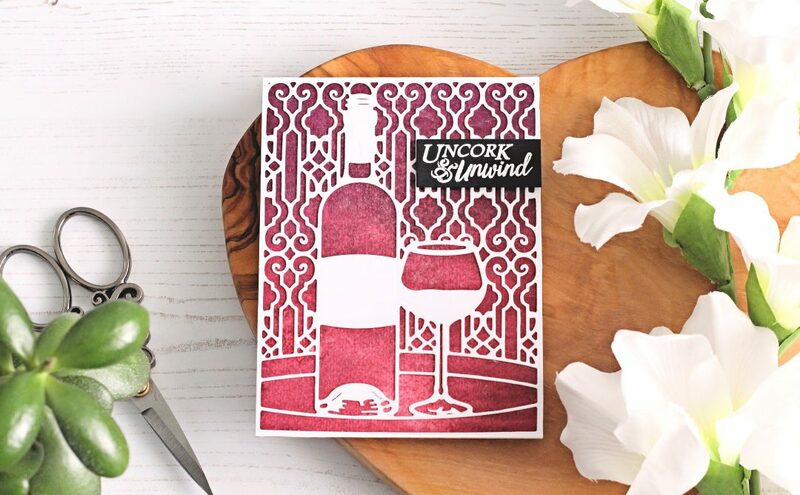 Heat emboss sentiment in gold embossing powder on the tag. Foam mount onto the yellow label. Die-cut grapes and leaves out of watercolor cardstock, color them and embellish the tag. 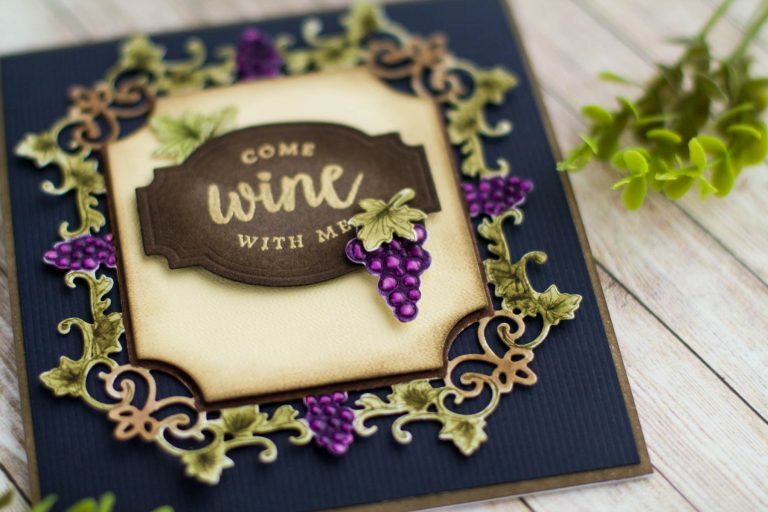 SplendorGel White Cardstock 340 GSM; Artelibris Air Bag Yellow Cardstock 120 GSM; Sirio Dark; Blue Cardstock 290 GSM; Marmelo Chocolate Cardstock 165 GSM; Canson Mix Media Imagine Cardstock 200 GSM; Ranger Distress Walnut Stain Ink Pad; Dovecraft Embossing Stamp Pad; Hero Arts Gold Embossing Powder; Ranger Distress Markers: Peeled Paint, Forest Moss, Dusty Concord, Seedless Preserves. 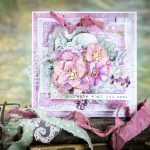 Double-sided Adhesive Tape; Double-sided Foam Adhesive; Tonic Pale Periwinkle Nuvo Jewel Drops.